It was August of 2000. As my friends who taught in a brick-and-mortar classroom got up at 6 a.m. to face their first day, I was starting my first day as a virtual school teacher. I was one of three Personal Fitness teachers and together we were going to change the face of how people thought of PE online. My routine was easy and executed with timely precision. At 7:30 a.m., I would head into the 10×10 office on the 2nd floor of my townhome and turn on my hefty 20-pound Gateway tower desktop. I’d walk downstairs to start my coffee pot which would then kick off my second routine of connecting to the internet. At around 7:36 a.m. (when the Gateway had started up and launched one desktop application), I’d click through a series of applications to get my internet connected. Once I heard the initial double click of the phone line, I knew the connection was underway and I’d have about three minutes to walk back downstairs where half of my hot pot of coffee was almost ready. As I walked downstairs, I could hear the cacophony of screeching, whiny, communications between the Gateway and the phone line as it struggled to start the technology which would allow me to access my day’s work. 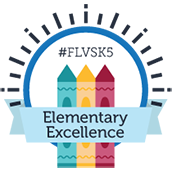 Four minutes later, with hot coffee in hand, I sat at my desk as the morning tech birds quieted down and opened the FLVS system that combined email, the Personal Fitness course, and all student contact data. The only way to begin the day was to launch the applications Lotus Notes and IBC Personal Space which were accessed via phone line. This meant I had to download all emails and assignments submitted from the evening before. I would then disconnect my connection and perform a few hours of tasks like drafting email responses, grading assignments, and organizing the day’s “oral components” (aka discussion-based assessments or DBAs). After a few hours, I would then repeat the same connection dance to upload my email responses and feedback on student assignments. Since FLVS had not yet developed what we now know to be VSA (our Virtual School Administrator system), evidence of calls placed to students was entrusted to a wire notebook in which we scribbled dates, phone numbers, and call details – all turned in monthly to the school secretary. Even without the convenience of a cell phone, the flexibility of being an online teacher was still afforded to us without the worry of missing a call from a student or parent. We were tethered to the needs of our students and parents by a pager, a small device which beeped when they needed us. As an FLVS teacher, I had a keen awareness of where every payphone was located within my city and had my 16-digit calling card memorized to make returning the pages quicker. While technology at that time may not have been quick, small, or user-friendly, it was simple and sufficient enough to ensure that we could be trailblazers among those exploring a new format of education. 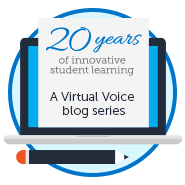 It is amazing to think how early technology gave FLVS the foundation for success 20 years ago! FLVS will be sharing #FLVSTURNS20 stories throughout the 2017-18 school year, so be sure to subscribe for updates, follow us on Facebook, and visit our anniversary page for more! This entry was posted in Educator Edition, Full Time Edition, Homeschool Edition, Parent Edition, Student Edition and tagged #FLVSTURNS20, 20 Years at FLVS, 20th Anniversary, A Day in the Life, A Day in the Life of an Online Teacher, Dial Up Internet, History, History of Florida Virtual School, History of FLVS, History of Online Education, innovation, Looking Back, Milestones, Online Learning, Online Learning in 1997, Opening of FLVS, Personal Fitness, Trends in Online Learning on September 26, 2017 by Guest Blogger. Seems like yesterday. I still think online Personal Fitness changed more families’ lives than we will ever know. I was a student in 2001 and 2002. I loved doing all of my classes online and was able to earn credits early enough to graduate ahead of schedule. 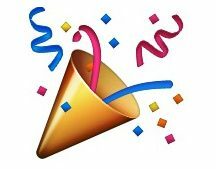 Now, my 2 children are students at FLVS. It’s fun to see how far the school and I have both come! I am in flvs and it is AWESOME! !